As a big fan of Thai food, I will search high and low to find a great treat no matter where it might be located. When Pok Pok opened in Docklands, it was, in my opinion the first bastion of possibility to the area. Their coffee was amazing and the food delicious. If anything, my first ever Urbanspoon post was on them! So when I heard that the owners were looking to expand into the city, I was a little distraught. Ethan makes my coffee just the way I like it. Now, don’t get me wrong, but when you find a good barista, (like a hairdresser, or so I’m told), you follow them along. In a way, you are guaranteed one thing – consistency. And in a world where everything is up in the air, having an anchor point is always an amazing thing. Especially as a morning coffee drinker – ah, yes. It’s the simple pleasures in life. Alas, we are not here to discuss my unhealthy obsession with coffee. We are here to discuss my unhealthy obsession with thai food and in particular Pok Pok. When they expanded to their new location, I was absolutely chuffed. Having recently started a new role close by, I was ecstatic especially both Ethan and Emily were now going to run this store. 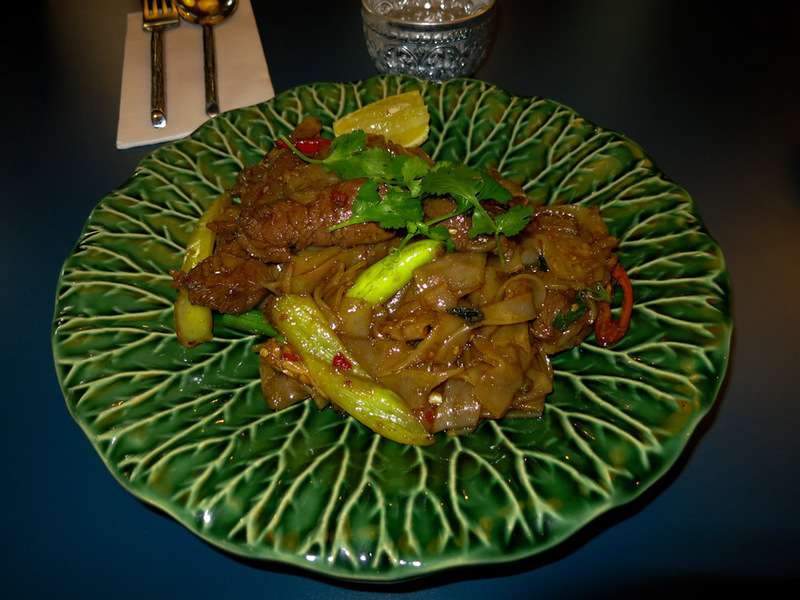 In a way, I have always enjoyed their spicy drunken noodles with beef. It is almost a staple, that all the waitresses actually now know that is my order and don’t even bother asking me. Or if they do, they have a knowing smile on their face. 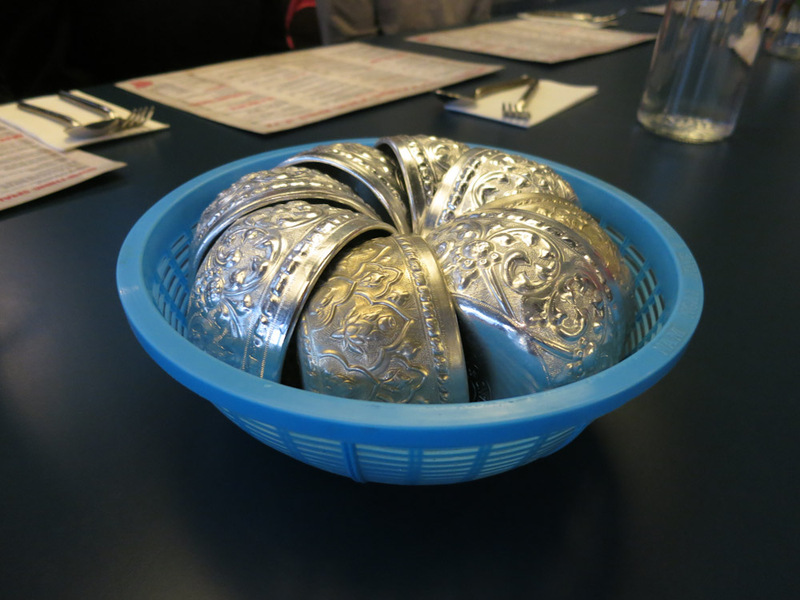 So what is this dish that has absolutely got me captivated? It would have to be the subtle balance of soft flat noodles, cooked in the delectable fresh vegetables that still maintain that fresh crunch when you bite into it. The chilli is spicy and for the love of GOD, do not ask them to make it “THAI HOT”. As a good friend of mine said (Hat tip to you Mike Z.) it was “Like a dragon going down and a rocket coming out”. I thought I could handle their spice. I could not. But, let’s just put that aside. Their beef is tender and slow cooked and most of the time comes apart in your mouth requiring but a few mere chews to get through the meat. All of this, on a base of amazing sauce. So much so, that I don’t even know and I don’t want to know. It’s freaking amazing. I’m salivating just thinking about this. And…now I’m hungry…knowing this would happen, I even ensured I sat down and wrote this review after eating for the day and I’m still hungry. Damn you Pok Pok. DAMN YOU! They have recently started a new thing whereby they have a set number of food servings of their specials. I was fortunate enough to try their chicken curry with soft noodles. It was delicious. Everything was just so well done and extremely succulent. The fact that the meat just melted in your mouth was priceless and worth every bite. It wasn’t too much and rather quite perfect. I felt satisfied and definitely satiated. Get there, ensure you order the spicy drunken noodles and you can ask them to temper the heat. And extra points to you if you say that Nige sent you. Otherwise, try their speciality blend of coffee. And ask for Ethan to make it for you. Latte, no sugar. Amazing. It’s lunchtime, somewhere in the world, right?